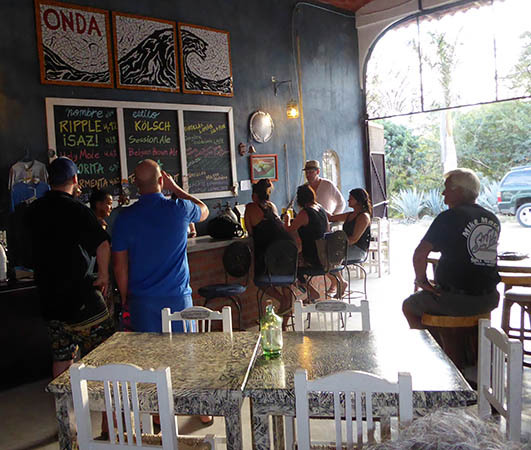 While enjoying ourselves at the beach in Chacala, Mexico, we heard from fellow travelers about a local Brew Pub which was getting a lot of attention. They said we shouldn't miss making a visit, as the beers were both unique and tasty. Run by a husband and wife team, Boe Barnett is the chef and brewer, and Jen... well Jen does "everything else." We were given sketchy directions from our new found friends, who also could not remember the pub's name. "It's something like panda" they said. Or maybe it's "Oadna." So off we go, up the hill until we run into this chalk board sign. It was Sunday, and it looked by the sign that they were only opened Fridays and Saturdays. At least by this time we had the proper name of the pub and since no one answered the bell and the place looked closed, we went home to see what information we could find on the internet. There was a Facebook Page with a contact us button so that's exactly what I did. 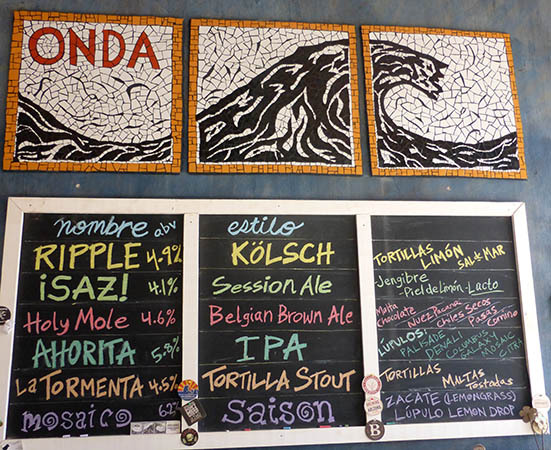 La Onda means "The Wave" and they specialize in 6 different beers on tap. 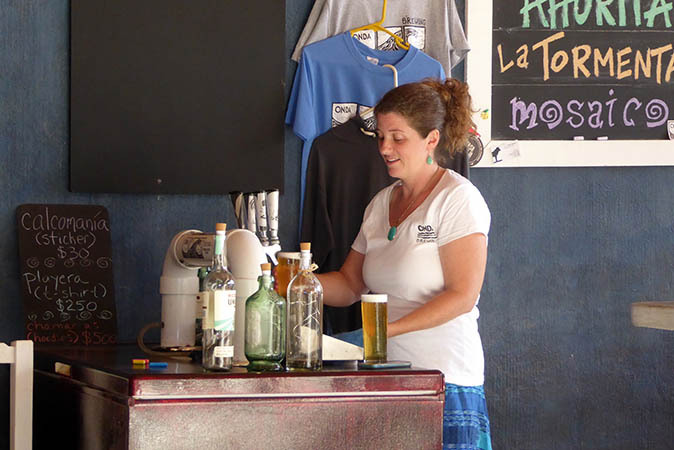 Incorporating interesting local ingredients like corn tortillas, dried chilis, ginger and lime zest, they focus on upholding the artistic tradition of Mexican brewing by using these native flavors to create their beverages. Jen answered my email within hours and indeed confirmed that they would not be open again until the week's end. That's a long time to wait when you are curious about artisan beers. 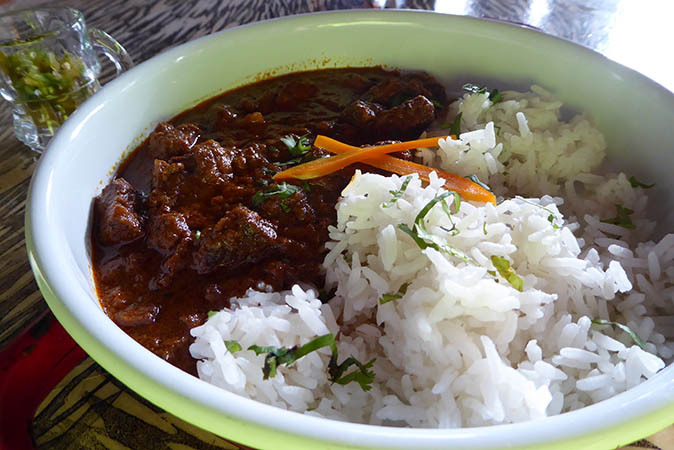 La Onda offers a limited food menu which includes a nightly special like the Indian curry beef stew above. They also have pesto orzo stuffed tomatoes, hummus and a cold meat and cheese plate. All of this was just getting our curiosity up. 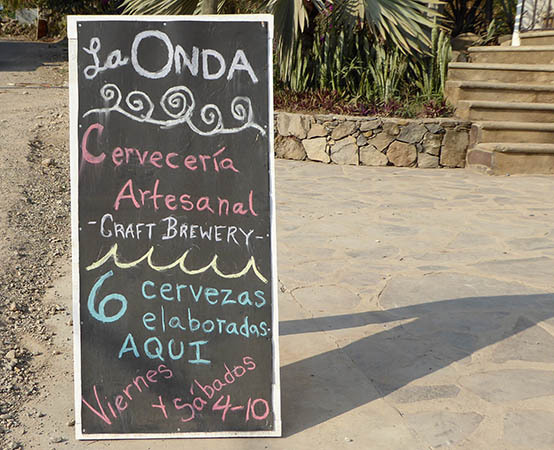 What with one thing and another, we did end up staying in Chacala til the week end, and looked forward to this treat. Since at that particular moment we did not yet have a menu - just the chalk board on the wall - Jen explained each beer in detail. 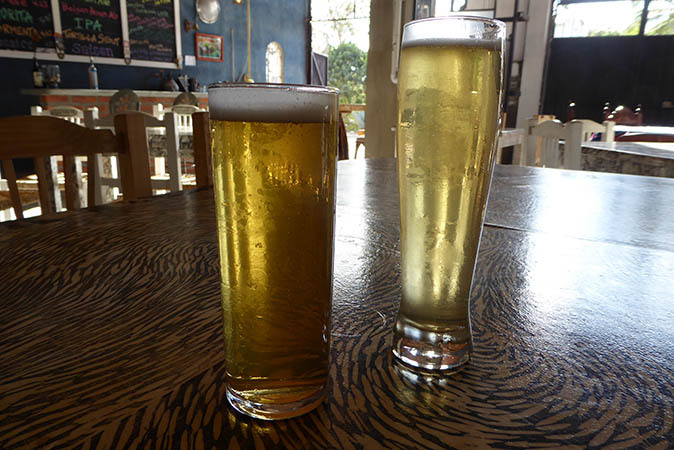 Billy ordered the Ripple or Kolsch beer, and I ordered the !SAZ! or Session Ale. Billy loved his beer which is a pilsner style. He said it was full flavored, hearty and the head on top was steady. It didn't disappear in a minute or two. This Kolsch beer was made with tortillas, lemon and sea salt, and Billy said he could taste that lemon and salt, which he really enjoys. I had !SAZ! which was made with ginger and lemon peel and tasted very clean, almost sour, and a little tart. It was a distinct Lemon Beer with a flavor of Ginger that was pronounced. At first, I wasn't sure I liked it, but after a couple of sips I leaned into its unique flavor and began enjoying its originality. I also tried a sampler of Holy Mole which was made from chocolate, nuts, dried chilis, raisins, and cumin. It was dark but not heavy, and it also had a good head. As it did not coat my tongue as some dark beers have a tendency to do, I could easily have had a full glass. Samplers were 5 ounces, and glasses were 12 ounces. 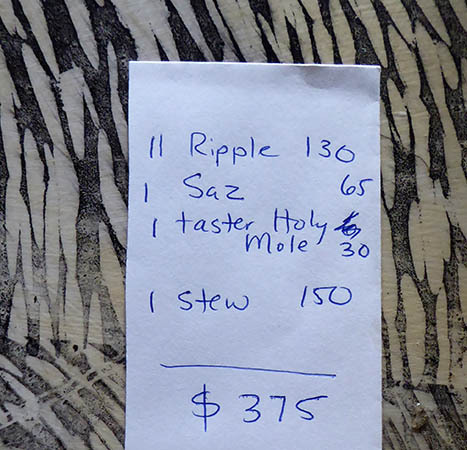 Samplers were 30 Pesos (about $1.60USD) and full glasses were 65 Pesos (about $3.50USD). 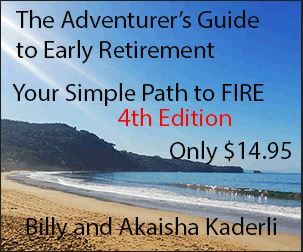 Billy and I shared an order of the nightly special of Indian beef stew curry, served with diced HOT peppers at just over $8USD. The meat was very tender and there was good flavor, but both of us thought there could have been more of the sauce. The rice was light and fluffy, but tasteless, hence the need for more sauce. The diced chilis were a good contrast. La Onda seats about 50 people, and the place began to fill up at about 5:15pm. Patrons were friendly to each other, some seemingly being regulars. The large front doors open out to the dusty street, but gives a welcome open-air feeling. The family lives upstairs in true Old World fashion. 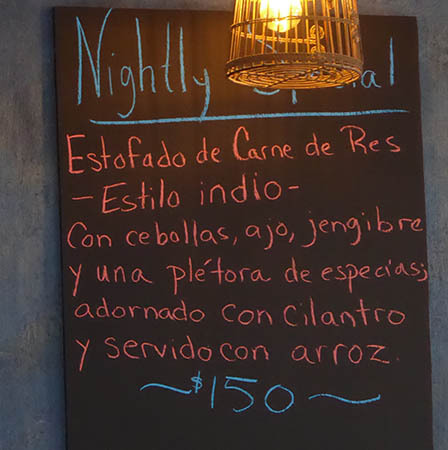 Here you see our beers and shared stew listed, coming to 375 Pesos, about $20USD. On this particular billing, the propina or tip, is not included, so we left one. 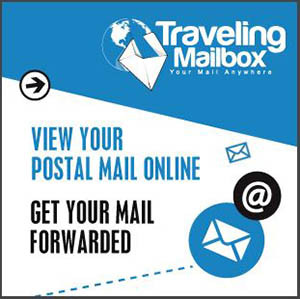 We advise to check your bills closely, as some restaurants add the tip to the bill's total. If you are not aware of this, you may be tipping twice. We would certainly recommend this pub for several reasons. It's unique, the beers are tasty, and Jen is well-informed about her husband's creative products. 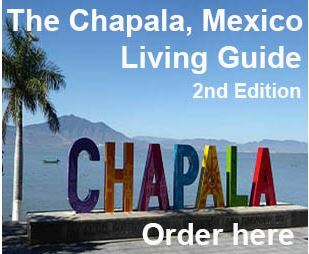 La Onda is a social place, so you will meet other travelers as well as locals who live in Chacala. For certain, put it on your list if you ever get to this tiny beach town. You won't be disappointed. Open on Fridays and Saturdays from 4-10 pm (or sometimes later if there's a crowd).